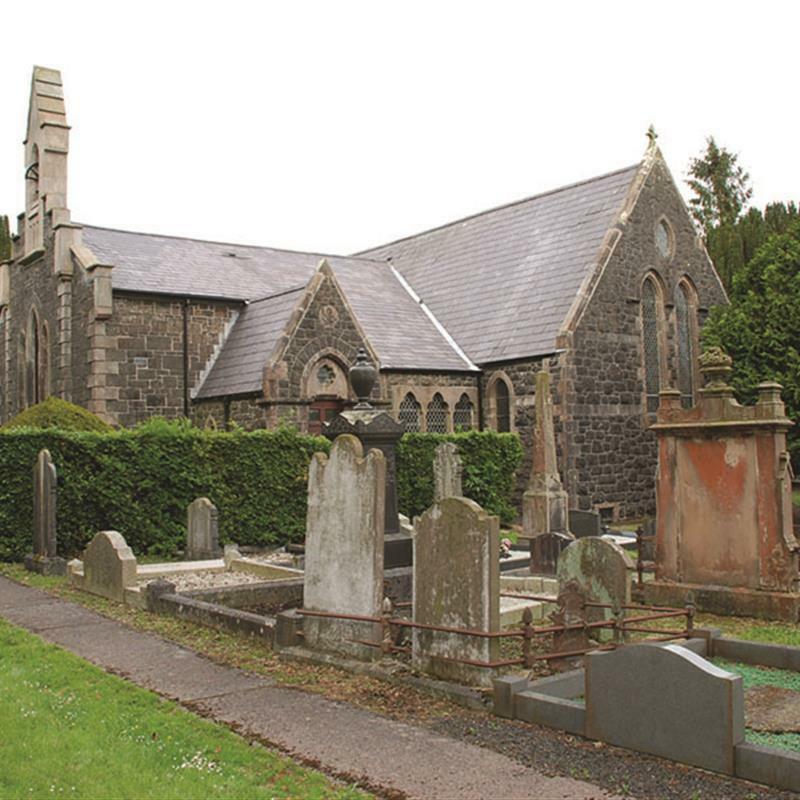 Its appearance much enhanced by the numerous yew trees in the surrounding walled graveyard. Built in 1840 in blackstone with ashlar trim to the designs of Sir Charles Lanyon. Transepts and south aisle added 1870.